Conservation groups representing sportsmen are clashing over their assessment of President Donald Trump’s nomination of David Bernhardt to become Secretary of Interior, with a prominent salmon restoration organization criticizing the nomination and a prominent duck conservation group praising it. Bernhardt, a former Westlands Water District and Big Oil lobbyist, was appointed Deputy Secretary of the Interior in July 2017 — and then served as Acting Interior Secretary after Ryan Zinke resigned in January under a cloud of federal investigations. John McManus, President of the Golden Gate Salmon Association (GGSA), criticized Trump’s nomination of Bernhardt because of the threat he said it poses to salmon and other fisheries — and urged the Governor and Legislature to fully implement current state law and to pass new legislation, SB 1, to protect California’s natural resources. “Now more than ever we need Governor Newsom and the state legislature to fully implement existing state law and to pass SB 1 to protect California’s natural resources, including our salmon runs, from Bernhardt and his former clients at the Westlands Water District in the arid western San Joaquin Valley,” said McManus. “Bernhardt has worked overtime in recent months to shut out federal salmon scientists and regulators from water decisions, instead handing all the decision making power over federal water projects in California to his cronies. The Trump administration, under Bernhardt, has tried repeatedly to crank the Delta pumps up to levels over and above what the law allows. But for the state of California saying no, the Bay-Delta and our salmon runs would be in even worse shape today,” McManus noted. McManus said SB 1 is a proposal in the state legislature that would protect California’s rivers, wildlife, and a balanced economy. “It’s needed yesterday,” McManus. In contrast, Ducks Unlimited (DU), an international organization that promotes wetlands and waterfowl conservation worldwide, applauded President Trump’s announcement to nominate David L. Bernhardt to serve as the new Secretary of the U.S. Department of the Interior (DOI). In 2006, Bernhardt was unanimously confirmed by the Senate to serve as the solicitor of the DOI. 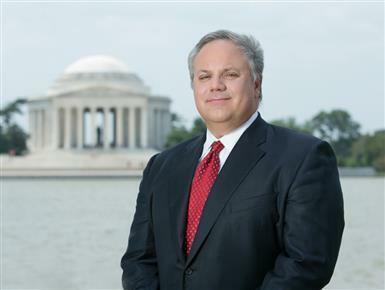 As solicitor, Bernhardt was the chief legal officer and third-ranking official for the DOI.